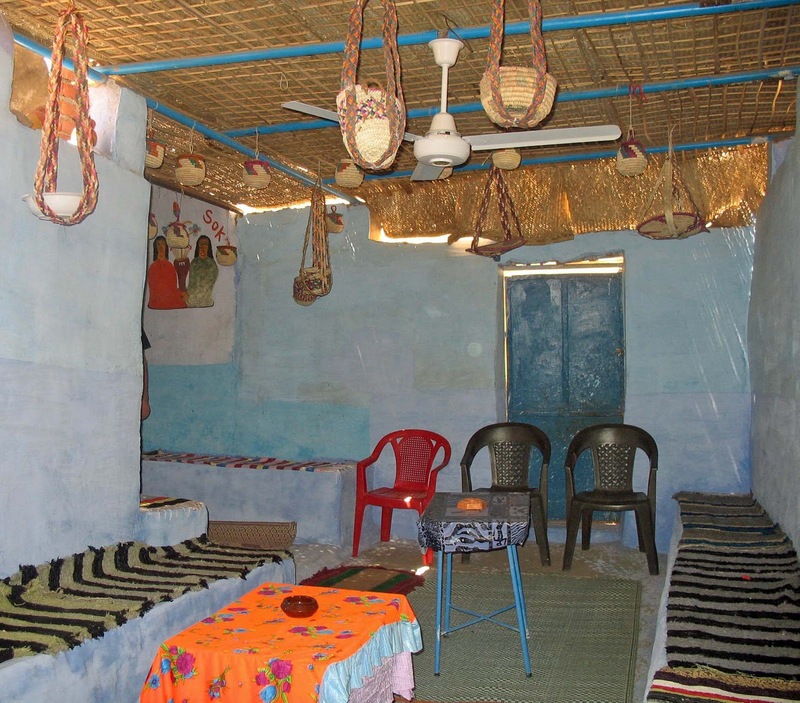 These are pictures of a Nubian Village. 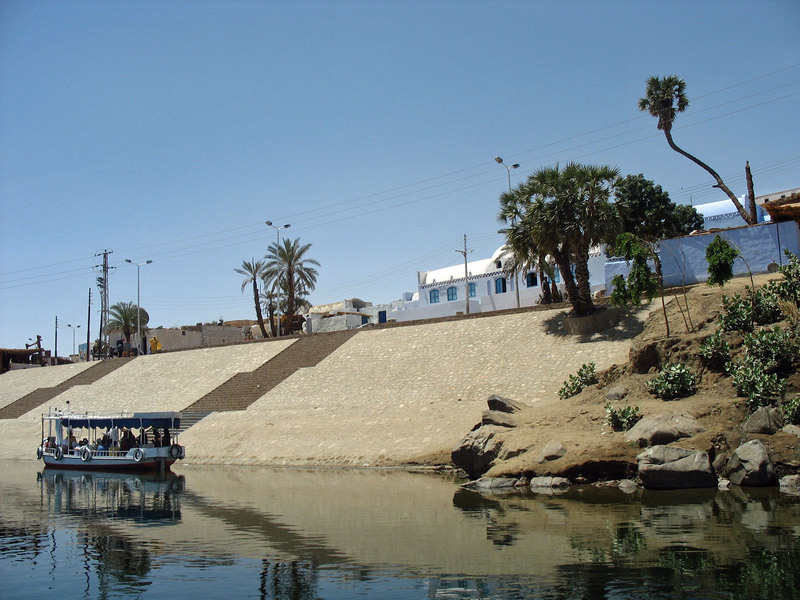 Nubia lies along the Nile and is partly in Egypt and partly in northern Sudan. Tourists are often taken to see a typical Nubian village because of its different architectural style. The Nubian culture has existed since ancient times. This particular village is meant for tourists to see and the houses are show-cased. 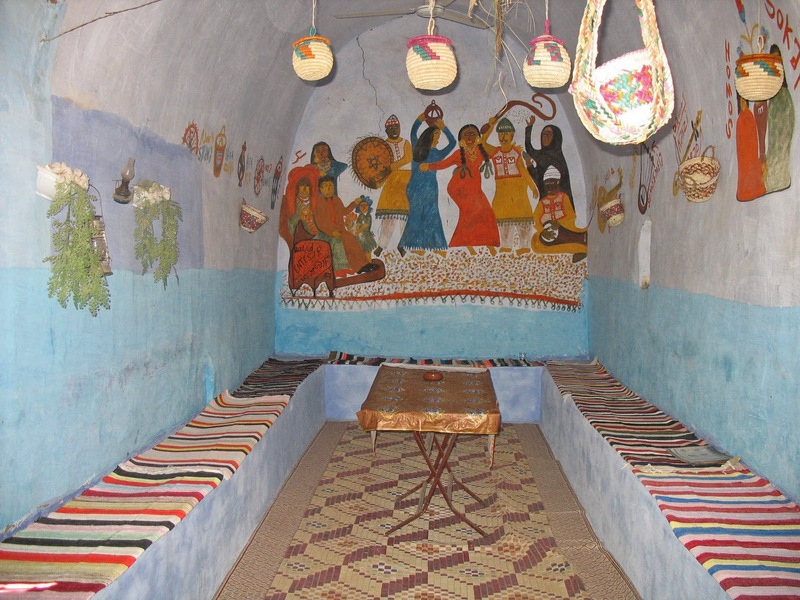 This is the living room in a Nubian hut. It has wall paintings and other decorations. Another picture of the living area. 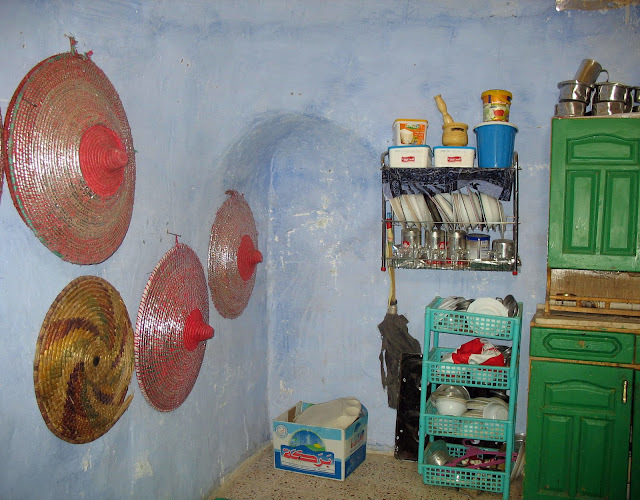 This is a Nubian kitchen, a mix of the ancient decorations on the walls and modern plastics. The hut belongs to a poor family.